BBC Radio 4 - World at One, 02/03/2015, "We glory in Shakespeare yet we close our public libraries"
"We glory in Shakespeare yet we close our public libraries"
"I thought, why not Swaledale? Or medieval churches. Or even, with all its shortcomings, the National Trust. But what I think we are best at in England - I do not say Britain - what I think we are best at in England, better than all the rest, is hypocrisy. Take London; we extol its beauty and its dignity while at the same time we're happy to sell it off to the highest bidder. Or highest builder. We glory in Shakespeare yet we close our public libraries. A substantial minority of our children receive a better education than the rest because of the social situation of the parents. Then we wonder why things at the top do not change or society improve. But we know why. It's because we are hypocrites. Our policemen are wonderful, provided you're white and middle class and don't take to the streets. And dying in custody is what happens in South America. It doesn't happen here. And it gets into the language. We think irony very English and are rather proud of it. But in literary terms it's how we have it both ways. A refined hypocrisy. And in language these days, words which start off as good and meaningful, terms like environment and energy saving, rapidly lose any credence because converted into political or PR slogans, ending up the clichéd stuff of an estate agents' brochure. A manual for hypocrisy. A memorable phrase in Hamlet, and one of the few that hasn't been picked up as a quotation or a title for something else, is when Claudius is arranging for Hamlet to be arrested and executed when he gets to our shores. And in his letter he says; "Do it England". And we say we do it, or we're going to do it, but we don't. Scotland does it. And Wales. But not England. In England, what we do best is lip service. And before you stampede for the Basildon bond or rather skitter for the Twitter I must say that I don't exempt myself from these strictures. How should I? I am English, I am a hypocrite. " Help mark our anniversary by telling us where you think Britain is leading the way. 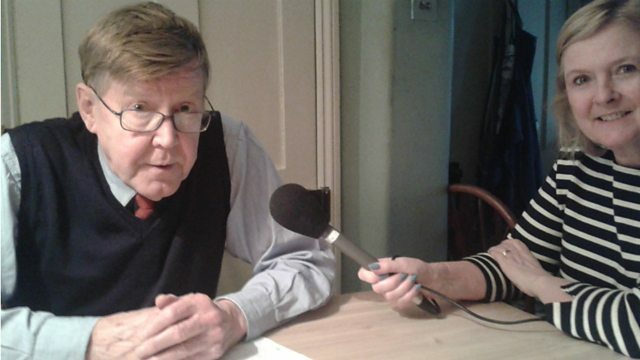 Tony Hall: "There is something profoundly democratic about the BBC"